Vivendi has seen a return to growth for Canal+’s domestic French subscriber base for the first time since 2015. 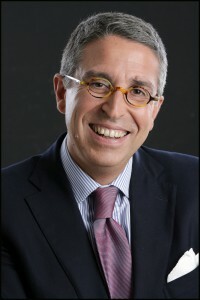 Vivendi CEO Arnaud de Puyfontaine has meanwhile confirmed that the group is in mediation to secure an end to its long-running and bitter battle with Mediaset in Italy. Vivendi also released numbers for short-form video initiative Studio+ for the first time. Canal+ saw its domestic retail subscriber base increase in the quarter for the first time since the early part of 2015 – albeit with a net gain of only 1,000 subscribers – which De Puyfontaine attributed to “the quality and flexibility of [its] new offers”. De Puyfontaine, speaking to analysts after the results came out, confirmed Canal+ Group’s previously announced EBITDA target of €350 million for this year. The pay TV outfit saw individual subscribers sign up in increasing numbers, with 43% more making commitments than for the same quarter last year. The number of cancellations meanwhile declined by 12.6%. On top of the small lift in retail subs, Canal+ saw a bigger rise come from wholesale and international customers. The total subscriber base was up 3.2 million year-on-year to 14.2 million, thanks in large part to wholesale agreements with Free and Orange in France. International subscribers meanwhile grew by 574,000 year-on-year. Despite the lift in subs, revenues from pay TV in France for the first nine months of the year were down 4.2%, although Vivendi said the numbers were improving quarter by quarter. International revenues were also down 5.1% due to currency movements, with a like-for-like improvement of 5.9%. EBITA for the first nine months was down from €427 million to €326 million, attributed to reorganization costs. Canal+ turned in Q3 revenues of €1.257 billion, down 2%, and rthe group expects Q4 revenues to be up 5% year-on-year. Vivendi separately reported progress in its digital video initiatives outside of Canal+, with Dailymotion’s premium video consumption increasing by 60%. The new Dailymotion interface was launched in the US last month with the support of partnership include the BBC, Bloomberg and Condé Nast. Short-form mobile video outfit Studio+ meanwhile reported 5.3 million customers globally for all forms of service provision at the end of September, which Vivendi attributed to a strengthening of agreements with telecom partners in France, Italy and Latin America. The service was lauched on the App Store in the US earlier this month and will be on Google Play soon. 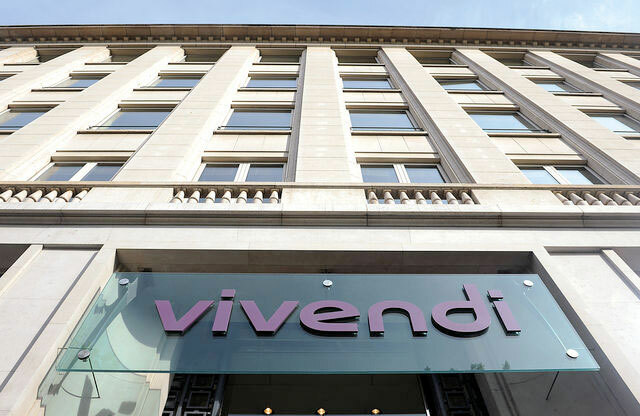 Regarding Italy, De Puyfontaine said that Vivendi was ‘currently in mediation” to secure a positive outcome with Mediaset, but declined to comment further. Regarding Italy in general, and Vivendi’s investment in Telecom Italia in particular, he said that the company was “happy about progress currently happening” and “cautiously optimistic” about being able “to deliver good results” that “match our strategy”. Vivendi’s overall numbers came in somewhat under expectations. Q3 revenues were €3.184 billion, up 2.7% without the inclusion of recently acquired advertising arm Havas, while EBITA was €293 million, down 5.2% excluding Havas. De Puyfontaine said that Vivendi will not launch a public tender offer to take over games outfit Ubisoft within the next six months and will not seek representation on the Ubisoft board. Vivendi has been engaged in a battle with Ubisoft’s founders for control of the company, in which it is a major shareholder.